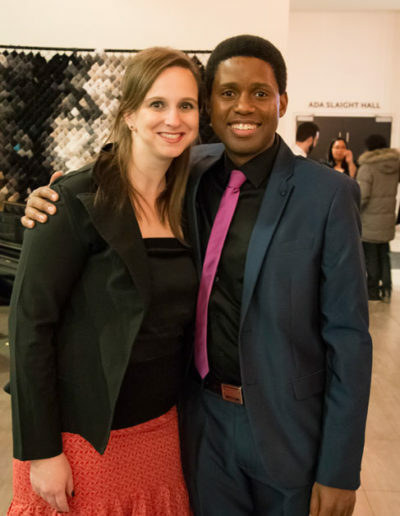 Simeon Taole and Danielle Ungara are the founders of Cinematoscape, a multi-disciplinary arts company based in Toronto. The organization excels in visual storytelling with a focus on projects for the screen and stage. 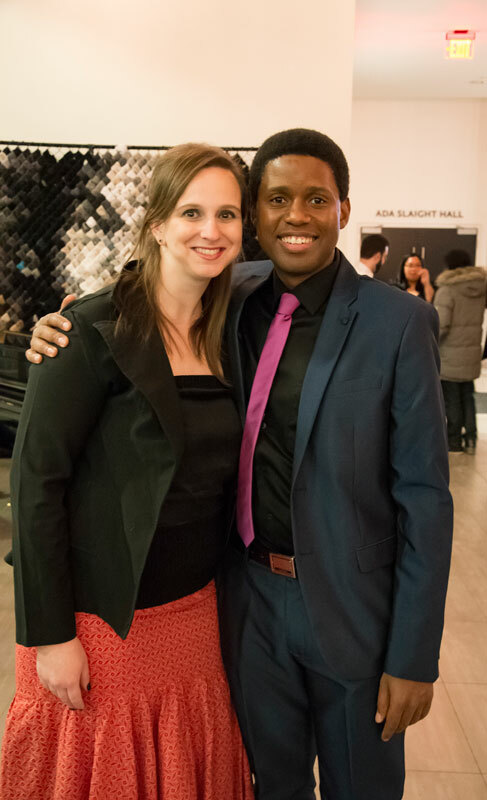 Danielle and Simeon are excited to be participating in North York Arts’ pilot program called “The Incubator”. The Incubator is a residency program that aims to respond to gaps in resources for Toronto-based artists. The program gives theatre and dance artists accessible professional theatre space and services to develop their work. Tell me about yourselves and Cinematoscape. S: I’m a writer, actor and director working and based here in North York. I have worked in theatre, film and television and I co-founded Cinematoscape. D: I’m a producer with Cinematoscape. The easiest way to remember our name is cinema-to-escape. When we thought about developing our company we wanted to look for opportunities to develop our own projects, and we are proud to be North York based. Currently, we have an award-winning production company where we do film and stage. Can you elaborate on the Cinematoscape creative process? S: We believe in the power of story; it’s key to everything that we do. We look for things that interest us and see how we can explore them. I tend to write about personal experiences and reflect on the past while also trying to imagine the future. We try to find things in the world and within ourselves that spark interest and then take that idea from there. D: Once we have an idea of what we want to develop, Simeon will start writing; honing characters, plot and research. Then we see what we can do with it on the screen or the stage. With our most recent script, we are excited to continue to develop it and see how it grows. What are you looking forward to in regards to the Incubator? S: So looking forward to that! I’ve spent quite some time working on this script for the stage. When you spend so much time in front of a computer, just typing away, it’s all in your head. I’m looking forward to workshopping the play, bringing other actors in, getting the text on its feet, and exploring the story to see what new ideas come from collaborating with other artists. D: It gives us an opportunity to explore what really works in the atmosphere that it would be produced in. So from a production lense we can start to imagine what the score looks like and what the set design looks like. It will give us that unique opportunity that we haven’t done prior. Why is it important that artists have accessible high quality space? S: I think it’s important because as an artist you get to explore the work in a space that you would hope your final product would be in. I’ll use this analogy – It’s like a concert pianist having an opportunity to practice on a piano that’s actually in tune! If you’re a theatre artist, being able to workshop the play where you would actually perform is fantastic! D: I think it gives us an opportunity to keep work that we’re developing in North York. This is a growing community and more accessible space for artists means more accessible spaces for audiences. The more opportunities we have to support creating arts, means that people will have more options to attend the arts. It’s sort of a win for everyone.